Portsmouth Athenaeum. Small, typographic-style, institutional bookplate with simple text, line border. At top, space for item No. and Shelf. 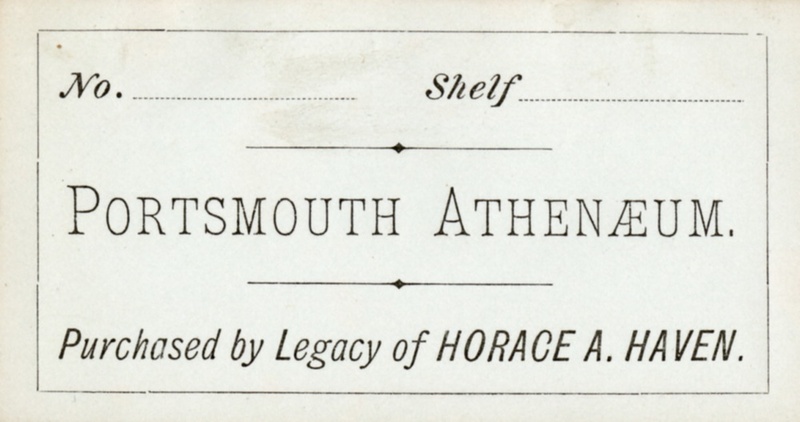 Below text reads “Portsmouth Athenaeum, Purchased by the Legacy of Horace A. Haven." ~ Unknown, “Portsmouth Athenaeum; Purchased by the Legacy of Horace A. 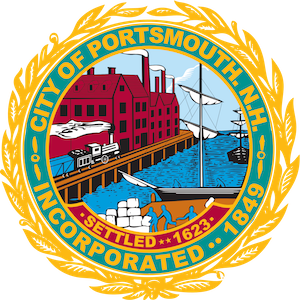 Haven ,” Portsmouth Public Library's Online Archives, accessed April 23, 2019, http://portsmouthexhibits.org/items/show/1656.